There are three major railroads operating in Virginia, North Carolina and the District of Columbia metropolitan areas. These are the Norfolk Southern Railroad Company, CSX Transportation, Inc., and Amtrak passenger trains. This means that a personal injury railroad case against these three major railroads can be brought in an area where these railroads do business. The considerations for the location of a trial are the location of the accident, where the plaintiff lives, where the defendant does business, where witnesses are located, and whether or not the place of trial is convenient for all parties. 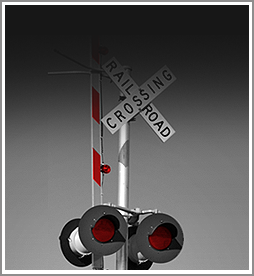 An experienced personal injury attorney, who has handled many railroad cases, can help you with the location of your trial and this is most advantageous to you as an injured person. An experienced lawyer will have your case tried before a fair and impartial jury which does not favor the railroad, and based on the facts and law will give you a full and fair verdict in your case. An experienced lawyer will work hard to make certain your case is in a court where a jury will deliver that full and fair verdict in behalf of the injured person. At times it may be necessary to have your case tried in federal court as opposed to state court. This often can be done by an experienced attorney when the company is involved in interstate transportation, which would allow the trial to take place in federal court. An experienced lawyer can determine at which place an injured railroad person can get a diverse jury panel which comes from all parts of society. This is another way of saying that you are trying to get a jury of your peers. The law firm of Wilson & Hajek has had success in having trials for injured railroad employees take place where they can receive a full and fair verdict. This is why you need a lawyer who is familiar with FELA law which controls railroad personal injuries.